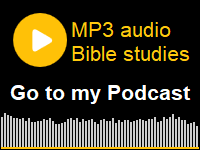 This is my second commentary covering the battle of Gog and Magog. 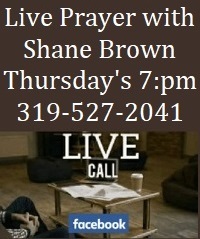 In my first commentary I identify the people and places involved in the battle of Gog and Magog. For more information please first read my commentary titled “Magog Made Easy!”. This commentary titled “Magog Made Easier!” looks at the differences between Ezekiel chapters 38 and 39 and explores the near time possibility of the battle of Gog and Magog. Gog is the land of modern Turkey. Magog is its leader. Ezekiel chapters 38 and 39 both describe a Turkish led invasion into Israel. My view is that the events of Ezekiel chapter 38 will happen before the events described in Ezekiel chapter 39. Ezekiel chapters 38 and 39 begin in similar ways. God tells Ezekiel to prophesy against the land of Gog (or today’s Turkey). However, Magog the ruler of Gog is named at the beginning of Ezekiel chapter 38. Magog is the ruler of Gog. Magog is not mentioned at the beginning of Ezekiel chapter 39. So Ezekiel chapter 39 is directed more towards the nation of Gog than it is towards its ruler personally. I think that Ezekiel chapters 38 and 39 have separate applications because God divides them into two separate proclamations. 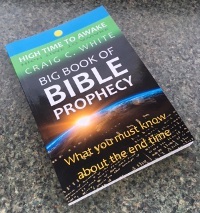 It may be that the battle of Ezekiel chapter 38 happens before Israel’s Great Tribulation and the battle of Ezekiel chapter 39 happens a few years later at the end of the Great Tribulation period. I will say more about that when we get to Ezekiel chapter 39. In Ezekiel 38:4, when Gog attacks Israel then God will turn the Turkish army around like an animal being led with a bit in its mouth (put hooks into thy jaw). A lot of Bible teachers say that this means that the Turkish Army will be turned towards Israel but it actually means that God will cause the Turkish Army to retreat. The term to “put hooks into thy jaws” is used elsewhere in the Bible. Just like God caused the Assyrian Army to retreat in 734 BC God will also cause the Turkish Army to retreat. 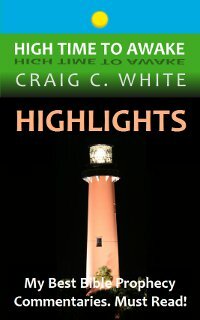 Read my commentary titled Hooks into thy jaws. The Ezekiel chapter 38 invasion into Israel may begin soon. The Turkish army is now amassed on the Syrian border; both in Turkey and now inside of Syria. Turkish President Erdogan has proclaimed that the sole reason that Turkey has entered Syria is to remove Syrian President Assad from power in Damascus. The Turkish Army may destroy Damascus (Isaiah 17:1 and Jeremiah 49:24-27) and then march a few miles southward into Israel. Eze 38:5 Persia, Ethiopia, and Libya with them; all of them with shield and helmet: 6 Gomer, and all his bands; the house of Togarmah of the north quarters, and all his bands: and many people with thee. I explain the identities of these people in my commentary “Magog Made Easy”. Persia, Ethiopia (Cush), and Libya are today’s Iran, Sudan, and Libya. They are all fighting in Syria today. Eze 38:6-7 Gomer, and all his bands; the house of Togarmah of the north quarters, and all his bands: and many people with thee. 7 Be thou prepared, and prepare for thyself, thou, and all thy company that are assembled unto thee, and be thou a guard unto them. Magog, Meshech, Tubal, and Gomer were brothers. Togarmah is Gomer’s son. They were among the first families to resettle the world after the devastation of Noah’s flood. They all settled together in today’s Turkey. The north quarters literally describes the northern quadrant of Turkey, not a northern country. Today the largest population center in Turkey is located around Istanbul in far northwestern Turkey. 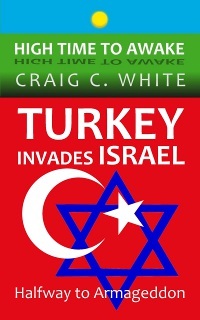 So Turkey will lead an invasion into Israel joined by Iran, Sudan, and Libya. 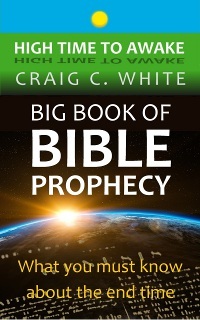 This prophecy will take place a long time after it was given to Ezekiel. It will take place in the latter years meaning last or end. 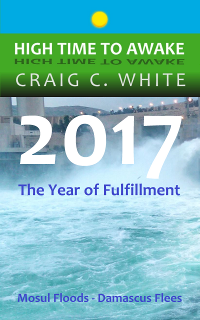 The latter years are the years before Jesus Christ’s return to Earth to judge the nations and rule on Earth. Turkey will be visited by a person with intentions of mustering troops to invade Israel. This may be referring to Magog himself, the Turkish leader who will instigate the battle. Today it is easy to see that Turkish President Recep Tayyip Erdoğan is eager to start a war with Israel (read my commentary titled “Mr. Magog”). The land brought back from the sword is the land of Israel again inhabited by the Jewish people. The phrases out of many people and out of the nations are the same Hebrew words meaning “out of every tribe”. So Israel will be inhabiting the land in peace and prosperity before this invasion, just as they are today. Eze 38:9 Thou shalt ascend and come like a storm, thou shalt be like a cloud to cover the land, thou, and all thy bands, and many people with thee. 10 Thus saith the Lord GOD; It shall also come to pass, that at the same time shall things come into thy mind, and thou shalt think an evil thought: 11 And thou shalt say, I will go up to the land of unwalled villages; I will go to them that are at rest, that dwell safely, all of them dwelling without walls, and having neither bars nor gates, 12 To take a spoil, and to take a prey; to turn thine hand upon the desolate places that are now inhabited, and upon the people that are gathered out of the nations, which have gotten cattle and goods, that dwell in the midst of the land. 13 Sheba, and Dedan, and the merchants of Tarshish, with all the young lions thereof, shall say unto thee, Art thou come to take a spoil? hast thou gathered thy company to take a prey? to carry away silver and gold, to take away cattle and goods, to take a great spoil? Please notice that the armies are gathered but have not yet invaded the land of Israel. Sheba and Dedan refer to the United Arab Emirates and Saudi Arabia. Tarshish refers to Lebanon. Tarshish was the name of the rock island fortress that once sat off of the coast of Tyre in southern Lebanon. Ezekiel doesn’t say that Saudi Arabia is joined in the battle, but that they ask the Turkish led army if it is about to invade Israel in order to acquire wealth. Eze 38:14 Therefore, son of man, prophesy and say unto Gog, Thus saith the Lord GOD; In that day when my people of Israel dwelleth safely, shalt thou not know it? 15 And thou shalt come from thy place out of the north parts, thou, and many people with thee, all of them riding upon horses, a great company, and a mighty army: 16 And thou shalt come up against my people of Israel, as a cloud to cover the land; it shall be in the latter days, and I will bring thee against my land, that the heathen may know me, when I shall be sanctified in thee, O Gog, before their eyes. In verse 14 above, the phrase “shalt thou not know it?” means that Turkey will be able to see that Israel is dwelling in peace. In verse 15 above, the phrase “north parts” again means northern quadrant. I think that this is again referring to northern Turkey. Today the Turkish Army is gathered on the northwestern Syrian border. Turkish President Erdogan wants Syrian President Assad to be removed from power. If Turkey attacks the Syrian capital of Damascus, then they would be in position to invade Israel from the north. In verse 16 above, the heathen are nations. The nations will recognize and observe God as he deals with the invading armed forces. This is a trick question. The answer is yes. This is the army that Jesus will defeat in the battle of Armageddon. But this is not yet the battle of Armageddon. The battle of Armageddon is most certainly described in Ezekiel chapter 39. Not all prophecy regarding the end time invasion into Israel will be fulfilled during the Ezekiel chapter 38 battle. Ezekiel chapter 38 is a preview and a prelude to Ezekiel chapter 39. 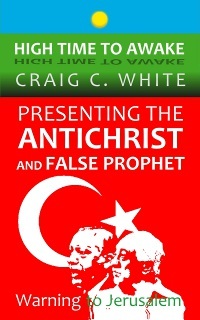 I think that the events that are described in Ezekiel chapter 39 are the events that have been prophesied to happen at the end of the Tribulation period when Jesus returns to defeat the invading armies. The Ezekiel chapter 38 forces will again invade Israel and Jesus Christ himself will trample them like grapes (Isa 63:3, Jer 25:30, Rev 14:20). In Ezekiel 39:8 God tells us that Ezekiel chapter 39 describes the day of the Lord. Eze 39:8 Behold, it is come, and it is done, saith the Lord GOD; this is the day whereof I have spoken. Eze 38:18 And it shall come to pass at the same time when Gog shall come against the land of Israel, saith the Lord GOD, that my fury shall come up in my face. 19 For in my jealousy and in the fire of my wrath have I spoken, Surely in that day there shall be a great shaking in the land of Israel; 20 So that the fishes of the sea, and the fowls of the heaven, and the beasts of the field, and all creeping things that creep upon the earth, and all the men that are upon the face of the earth, shall shake at my presence, and the mountains shall be thrown down, and the steep places shall fall, and every wall shall fall to the ground. 21 And I will call for a sword against him throughout all my mountains, saith the Lord GOD: every man’s sword shall be against his brother. You get the picture. In verse 21 above, the invading forces battle among themselves. In verse 22 below, the word plead means to Judge. The word “bands” refers to military troops. Eze 38:22 And I will plead against him with pestilence and with blood; and I will rain upon him, and upon his bands, and upon the many people that are with him, an overflowing rain, and great hailstones, fire, and brimstone. 23 Thus will I magnify myself, and sanctify myself; and I will be known in the eyes of many nations, and they shall know that I am the LORD. It is important to note that God uses the forces of nature against the invading armies. God sends an enormous earthquake, pestilence (destruction) and blood (bloodshed), and overflowing rain, great hailstones, fire, and brimstone. Again, the nations will recognize and observe God as he deals with the invading armed forces. 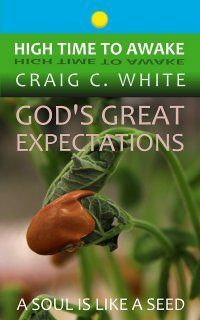 This doesn’t mean that the nations will reverence God but they will recognize his handiwork. Now let’s look at Ezekiel chapter 39. This is the second proclamation against the nation of Gog, or today’s nation of Turkey. Ezekiel chapter 39 begins much the same as chapter 38. God proclaims for the second time that he is against the nation of Gog (or Turkey). However, the other nations of Iran, Ethiopia (Sudan), or Libya are not mentioned. 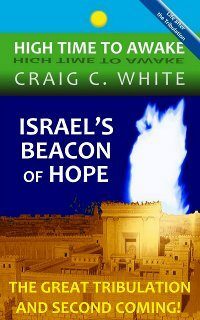 In Ezekiel chapter 38 the nations observe God’s hand at work while defending Israel. In Ezekiel chapter 39 Israel finally trusts in their God. We will discover that the battle described in Ezekiel chapter 39 is conclusive. God will no longer allow the nations to invade Israel. So the events described in Ezekiel chapter 39 must take place at the end of the Tribulation period when Jesus Christ returns to defeat Israel’s enemies and to rule in Jerusalem. Only then will Israel be forever at peace. Only then will all Jewish people be faithful towards their God. Again God will cause the Armies led by the nation of Gog to retreat. 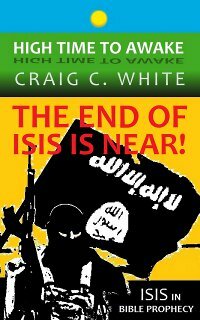 It seems that God will wipe out all but one sixth of the soldiers but the phrase “leave but the sixth part of thee” may actually mean to annihilate. God will bring the Armies of Gog upon the mountains of Israel. At the end of the Tribulation period Israel will be attacked from several fronts (read my commentary titled “Revelation Wrath Path”). We know that God will gather some of the armies of Israel’s enemies at the valley of Megiddo in the northern mountainous part of Israel. It seems that Ezekiel 39 is describing the battle of Armageddon. In verse 3 above, God disarms the invading armies. Eze 39:4 Thou shalt fall upon the mountains of Israel, thou, and all thy bands, and the people that is with thee: I will give thee unto the ravenous birds of every sort, and to the beasts of the field to be devoured. Verse 4 above, describes the day of the Lord, which is the time of Jesus Christ’s vengeance on all of Israel’s enemies. 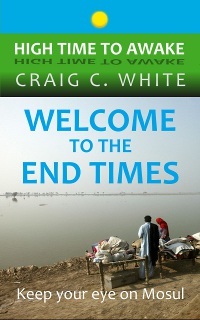 The day of God’s vengeance lasts through the seven year Tribulation period, culminating with Jesus’ second coming at the end of the Great Tribulation. This same day is described in Revelation chapter 19 below. Rev 19:17-18 And I saw an angel standing in the sun; and he cried with a loud voice, saying to all the fowls that fly in the midst of heaven, Come and gather yourselves together unto the supper of the great God; 18 That ye may eat the flesh of kings, and the flesh of captains, and the flesh of mighty men, and the flesh of horses, and of them that sit on them, and the flesh of all men, both free and bond, both small and great. Eze 39:5 Thou shalt fall upon the open field: for I have spoken it, saith the Lord GOD. 6 And I will send a fire on Magog, and among them that dwell carelessly in the isles: and they shall know that I am the LORD. In verse 5 above, to send a fire means that God will send an army to destroy the land of Israel’s enemies. This same expression is used in Hos 8:14, and several times in Amos 1 & 2, it is also used in Jdg 20:48, 2Ki 8:12, Psa 74:7, and Lam 1:13. In verse 7 above, the heathen or nations will no longer profane the God of Israel. 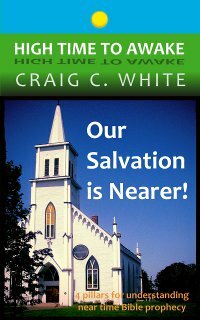 This war can only take place at the end of the Great Tribulation. After Jesus judges Israel’s enemies then he will set his throne in Jerusalem to rule on Earth forever. In verse 8 below, God tells us clearly that this is the day of the Lords vengeance that the prophets have foretold. In the previous chapter of Ezekiel, God asks the question “is the Turkish leader (Magog) the invader whom the prophets foretold?” He was that person. But I think that the events of Ezekiel chapter 38 are a preview of the main battle of Gog and Magog. 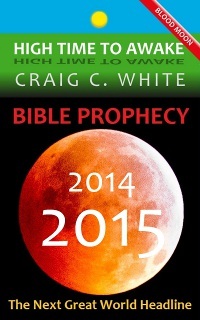 The events of Ezekiel chapter 39 fulfill the major prophecies about the day of the Lord. 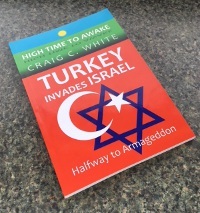 I wonder if a false interpretation of the soon coming Turkish led invasion into Israel will entice Israel to make a peace treaty with Turkish President Erdogan. The verses below describe the 7 month burial period for the armies of Gog. Hamongog means the “multitude of Gog”. Hamonah means simply “multitude”. Remember that Gog identifies the nation and Magog identifies its ruler. Turkey’s ruler isn’t being buried here but the Turkish Army is. Eze 39:9 And they that dwell in the cities of Israel shall go forth, and shall set on fire and burn the weapons, both the shields and the bucklers, the bows and the arrows, and the handstaves, and the spears, and they shall burn them with fire seven years: 10 So that they shall take no wood out of the field, neither cut down any out of the forests; for they shall burn the weapons with fire: and they shall spoil those that spoiled them, and rob those that robbed them, saith the Lord GOD. 11 And it shall come to pass in that day, that I will give unto Gog a place there of graves in Israel, the valley of the passengers on the east of the sea: and it shall stop the noses of the passengers: and there shall they bury Gog and all his multitude: and they shall call it The valley of Hamongog. 12 And seven months shall the house of Israel be burying of them, that they may cleanse the land. 13 Yea, all the people of the land shall bury them; and it shall be to them a renown the day that I shall be glorified, saith the Lord GOD. 14 And they shall sever out men of continual employment, passing through the land to bury with the passengers those that remain upon the face of the earth, to cleanse it: after the end of seven months shall they search. 15 And the passengers that pass through the land, when any seeth a man’s bone, then shall he set up a sign by it, till the buriers have buried it in the valley of Hamongog. 16 And also the name of the city shall be Hamonah. Thus shall they cleanse the land. The verses below, describe the supper of the great God. Israel’s enemies will die on the battle ground and be eaten by birds and beasts. No thanks, I have reservations to the marriage supper of the Lamb. The supper of the great God is not to be confused with the marriage supper of the lamb. The marriage supper of the lamb is a very nice banquet where all Church age believers are presented to all faithful Old Testament Jews. All of whom have been resurrected from the dead, and will be very hungry. The marriage supper of the lamb happens on earth after the Great Tribulation. This is where I will eat steak with Ezekiel. Eze 39:17 And, thou son of man, thus saith the Lord GOD; Speak unto every feathered fowl, and to every beast of the field, Assemble yourselves, and come; gather yourselves on every side to my sacrifice that I do sacrifice for you, even a great sacrifice upon the mountains of Israel, that ye may eat flesh, and drink blood. 18 Ye shall eat the flesh of the mighty, and drink the blood of the princes of the earth, of rams, of lambs, and of goats, of bullocks, all of them fatlings of Bashan. 19 And ye shall eat fat till ye be full, and drink blood till ye be drunken, of my sacrifice which I have sacrificed for you. 20 Thus ye shall be filled at my table with horses and chariots, with mighty men, and with all men of war, saith the Lord GOD. The nations of Israel’s enemies will see that God has judged against them. Jesus will set his throne in Jerusalem. The nations will see God’s faithfulness towards Israel. Eze 39:21 And I will set my glory among the heathen, and all the heathen shall see my judgment that I have executed, and my hand that I have laid upon them. 22 So the house of Israel shall know that I am the LORD their God from that day and forward. 23 And the heathen shall know that the house of Israel went into captivity for their iniquity: because they trespassed against me, therefore hid I my face from them, and gave them into the hand of their enemies: so fell they all by the sword. 24 According to their uncleanness and according to their transgressions have I done unto them, and hid my face from them. 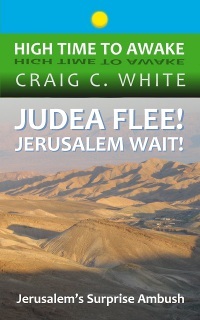 After Israel’s Great Tribulation, the people of Israel will at last believe in their God. In verse 25 below, God will gather the Jewish people from every nation. God will raise every believing Jew from the dead and return them to the land of Israel from the nations where they were held captive (read my commentary titled “Aliyah Israel Arise Return”). Eze 39:25 Therefore thus saith the Lord GOD; Now will I bring again the captivity of Jacob, and have mercy upon the whole house of Israel, and will be jealous for my holy name; 26 After that they have borne their shame, and all their trespasses whereby they have trespassed against me, when they dwelt safely in their land, and none made them afraid. 27 When I have brought them again from the people, and gathered them out of their enemies’ lands, and am sanctified in them in the sight of many nations; 28 Then shall they know that I am the LORD their God, which caused them to be led into captivity among the heathen: but I have gathered them unto their own land, and have left none of them any more there. 29 Neither will I hide my face any more from them: for I have poured out my spirit upon the house of Israel, saith the Lord GOD. Israel will never again be in unbelief toward their God. I think that Ezekiel chapters 38 and 39 are describing two separate battles. Their events have similarities but they happen at slightly different times. 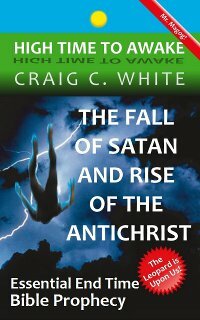 It is certain that both chapters describe events that happen near the time of the second coming of Jesus Christ. We can easily watch for a Turkish led Invasion into Israel. We can easily identify the participating nations of Iran, Sudan, and Libya. We can recognize that these nations today are likely to join forces against Israel. We can easily identify the Turkish leader that has the propensity to make war with Israel. We can recognize God’s works in the last days before Christ’s return. Today the world is poised for a Turkish led invasion into the Golan Heights of Israel. 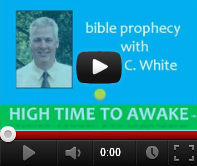 We should all be aware of Ezekiel’s prophecy and be watchful. It is High Time to Awake! It would seem that the Ezekiel 38 and 39 wars would need to happen before the tribulation based upon Ezekiel 39:9. How else would the weapons of war be able to be burned for 7 years? Hi Brian. I think that Ezekiel chapters 38 and 39 describe two separate Turkish led invasions into Israel. The first is gathering now. All of the nations that are listed in Ezekiel 38:5 are fighting in Syria today. 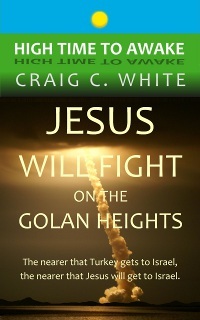 As a matter of fact they have all been fighting in the Syrian Golan Heights next to Israel and have all already lobbed missiles into the Golan Heights of Israel. 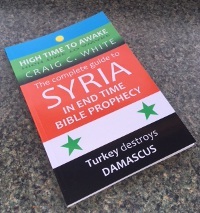 I expect the Ezekiel chapter 38 invasion into Israel to begin soon after Turkey destroys Damascus. The Ezekiel chapter 39 invasion into Israel is the same as the battle of Armageddon. 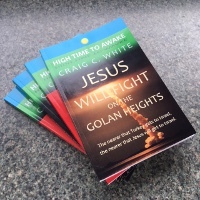 There will be plenty of time after Jesus returns to burn the weapons of the invading hordes. I believe more and more scripture will make sense as God reveals it. Finally someone saying that Ezekial 38 and 39 are two different battles! If these battles are 7 years apart what do we do with the one at the end of 1,000 years? 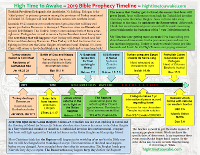 Have you ever considered that Ezekiel 38 and 39 are not in chronological order? 39 happens during the 7 years (Armageddon) and 38 after the 1,000 years. Seals 1-4 describe WW3…a perlude to the first Gog Magog battle. Good job Bob. This is the first time that the Turkish Army has directly fought against the Syrian Army. I have been expecting this day for a while. 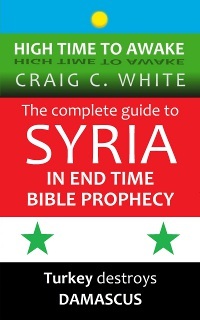 I’m pretty certain that Ezekiel 38 is forming now in Syria. Because every nation that Ezekiel 38:5 lists is fighting in Syria. I absolutely agree with you here, I’ve also read Isaiah 37 and your Hooks into thy jaws article. It says “at the same time” well that can only be before tribulation or after, but upon reading Ezekiel 39 it’s easy to see that Ezekiel 38 is before tribulation starts. It cannot be during middle of tribulation or Abomination of Desolation ,because God will allow the invasion of the Anti-Christ to happen and Jesus will appear close to the end of the tribulation. I don’t think I’ve explained well enough. 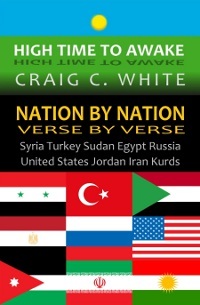 “At the same time” when Turkey’ armies and the rest will try to invade Israel… “at that same time” Jesus will appear; that can only be before tribulation or end of tribulation, no mid-trib since the army is allowed to invade Israel during Abomination of Desolation. But then when you read the context of Ezekiel 38 and Ezekiel 39 you can see there are two distinctive invasions. 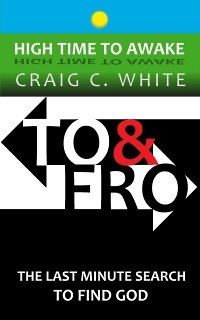 I agree 100% Craig , I meant it’s distinctive because of Ezekiel 38:20 …..shall shake at my presence.